Once, heavyweight champion Muhammad Ali and now-presidential front-runner Donald Trump were acquaintances. That came to a swift end this spring, when Donald Trump openly and controversially stated that, as president, he would impose a "Muslim ban" that would bar all Muslims from entering the United States. In a strongly worded statement, the elderly Muhammad Ali spoke out against Trump's "Muslim ban" proposal, openly deriding it as misunderstanding the fundamental origins of Islam. Trump later walked back his so-called "Muslim ban," describing the racially charged proposal as "just a suggestion," but the damage was done. Ali's words echoed that of countless others who described Trump's Muslim ban, inspired by the terrorist events in San Bernardino, California, as crucially misunderstanding Islam and the vast, vast majority of Muslims inside and outside of the United States. Trump's statement provoked backlash from international leaders, celebrities, and American citizens alike; however, given that Trump ended up winning enough delegates to secure the Republican nomination, it may also have won him more xenophobic supporters than he would have otherwise. 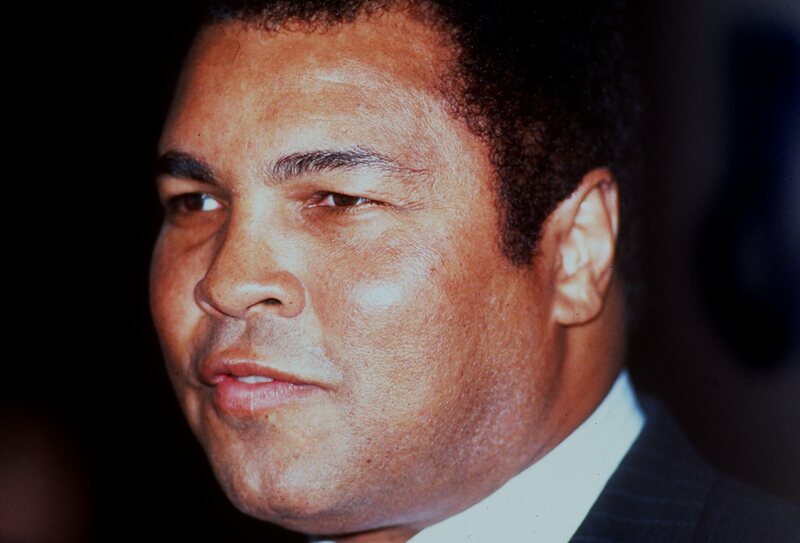 Ali died at the age of 74 at his home, surrounded by family. He had recently battled a respiratory illness and had struggled with Parkinson's disease for decades. In a statement, his daughter Rasheda said that her father was "no longer suffering," reported NBC.